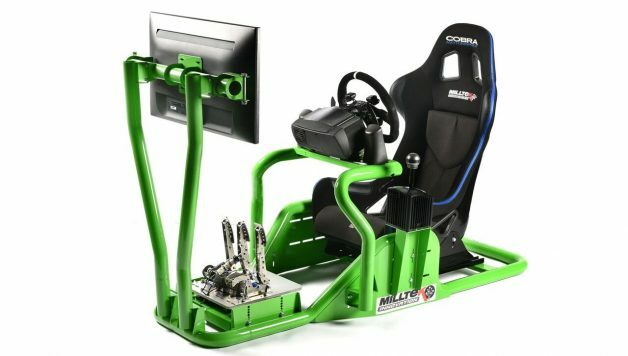 Milltek Innovations, the tech and hardware arm of Milltek Sport, has announced details of its impressively over-engineered ‘Sim Rig’ for gamers and racing drivers looking for a professional-level solution to running either driving games or professional grade simulation hardware and software. 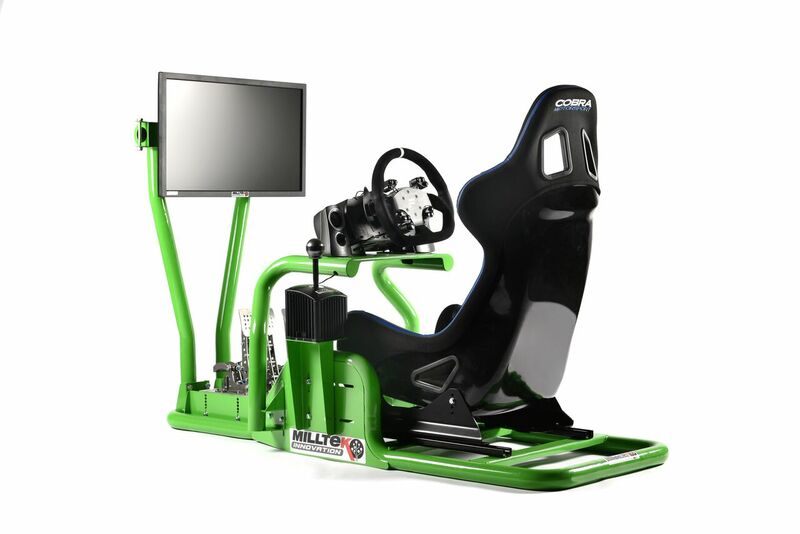 The idea for this hand-finished creation came from Milltek’s sports own, highly decorated in-house race drivers. When you have talent like GT-Champion Tom Onslow-Cole and Tin-top star Lucas Orrock on your books, not to mention VLN and N24 stalwart Dale Lomas, there’s always a need for simulator seat-time between meetings. Unable to find a sim rig that they felt offered the correct driving position or engineering integrity, Milltek did what anyone else would do with a factory full of precision CNC mandrel benders and certified welders – they built one from scratch. Using everything they had learned over the years, Milltek’s techs created the masterpiece you see here from the highest quality steel tube and plate. When you think that these are guys usually making tyre racks and trolleys for the paddocks of BTCC and F1, then you’ll understand the quality and rigidity of this unit. 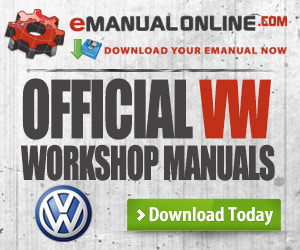 There’s strong, there’s over-engineered – and then there’s this! 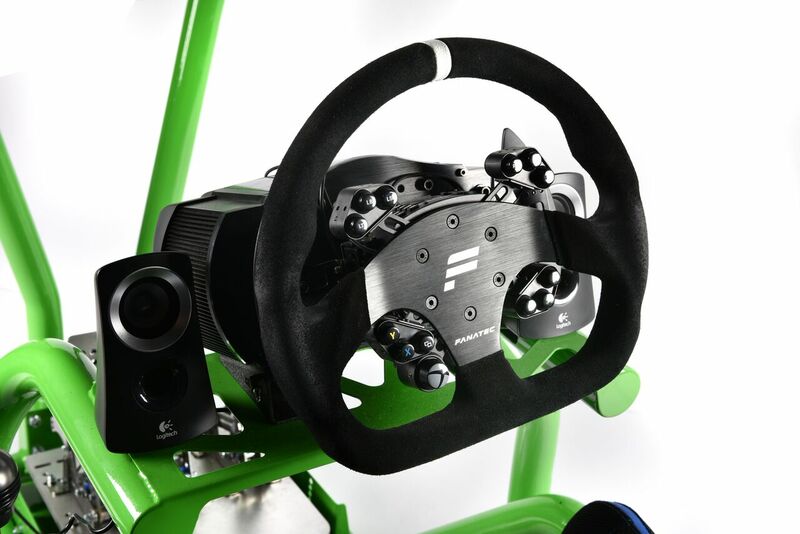 Built to take the market leading wheel, gearshift and pedal set-ups in order to work with the best simulation software, this rig has been designed to work up to professional level for drivers looking to hone their skills in the off-season, as well as discerning gamers looking for the ultimate in virtual reality. 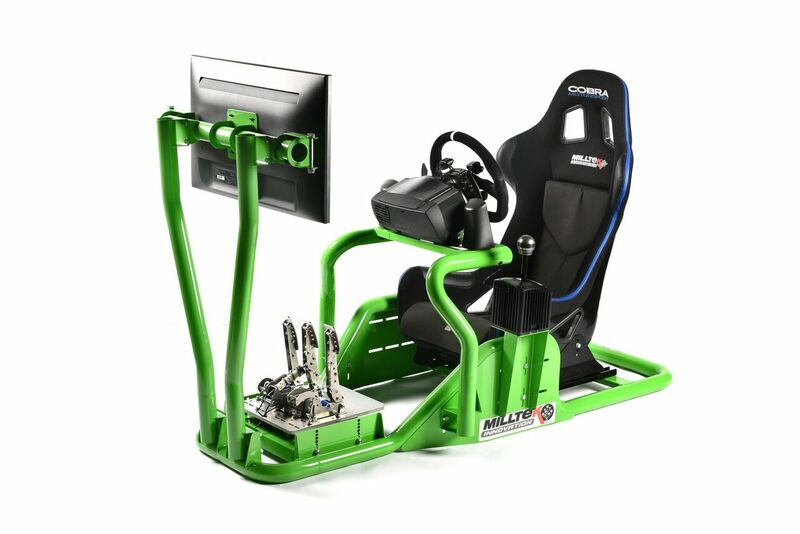 Handling either single or triple monitors, it’s perfect for hooking up to either PC or console systems for a truly immersive driving experience. 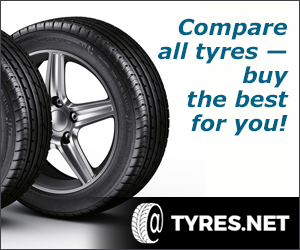 Do not confuse this with lookalike systems available online… this is motorsport quality engineering, built here in the UK. 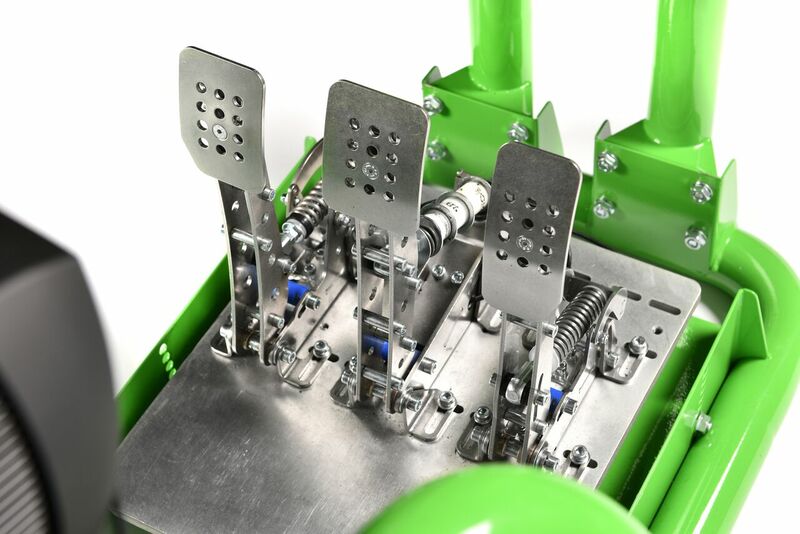 In a market of generally quite flimsy rigs, Milltek has taken its usual ‘belts and braces’ approach to the engineering of this item, creating a rig that wouldn’t look out of place on the grid itself. 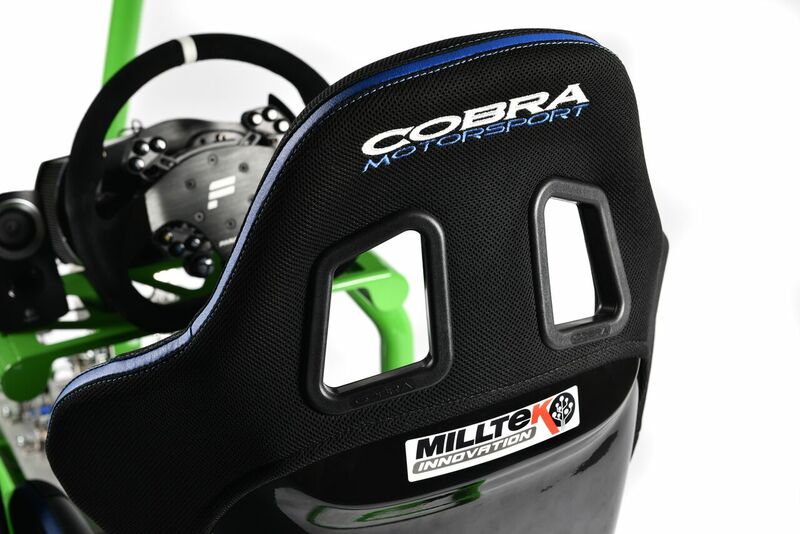 This thing’s almost an Ariel Atom without the wheels!, the Milltek Innovations Rig comes complete with a bespoke custom-trimmed Cobra racing seat, and can be ordered in a wide range of powder coat and paint options to suit team’s or individual’s precise wishes. Corporate hire options will also being rolled out over the next few months.